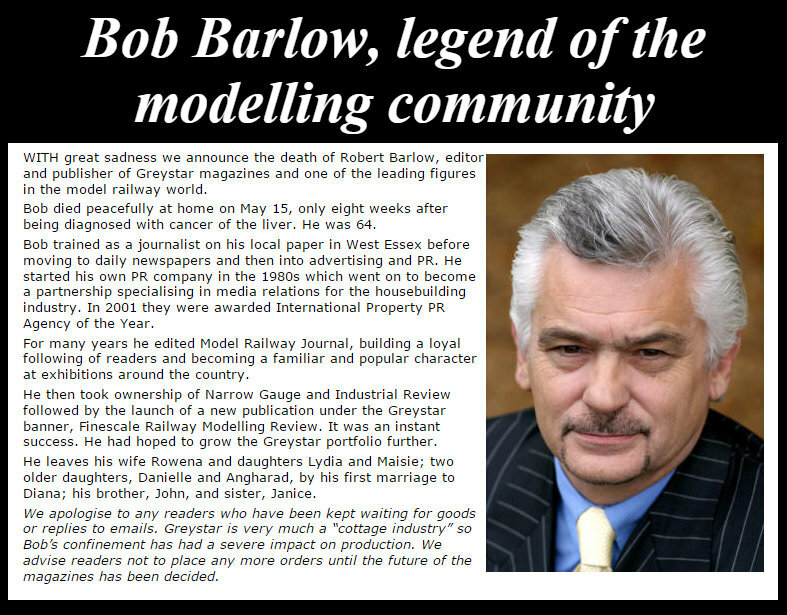 It’s with great sadness that this weekend I learnt of the passing of Bob Barlow, editor of Finescale Railway Modelling Review, Narrow Gauge and Industrial Review, and previously editor of Model Railway Journal. It came as a bit of a shock to realise that Bob and I have crossed paths over the past 25 years or more. I first Met Bob at an Expo EM or Scaleforum just as Wild Swan were dipping their toe into model railway magazine publishing. Bob had written an article in a British Railway Journal on making trees from twisted wire. That belief of wanting to make high quality scenery and modelling achievable to people who wanted to try to better themselves and their talents, immediately grabbed my attention. Here was a magazine edited by someone who could walk the talk of pushing the boundaries and was prepared to have a go himself, and actively encourage others to do so too. Bob was the editor who first published a piece by myself, in MRJ 70, providing huge encouragement to get further into the finescale side of the hobby. When he saw Albion Yard at its last appearance at Warley he made some nice comments, I did mention a good part of the layout was his fault, a substantial element of the effort that went into the layout being directly inspired by the editorial content of MRJ, particularly in its formative years under his guidance. Bob was a talented illustrator too, a good number of the ink sketches in the early MRJ’s were his work giving it a unique appearance and presentation, this presentation talent again recently underlined with the introduction of FRMR with Bob as publisher and editor. 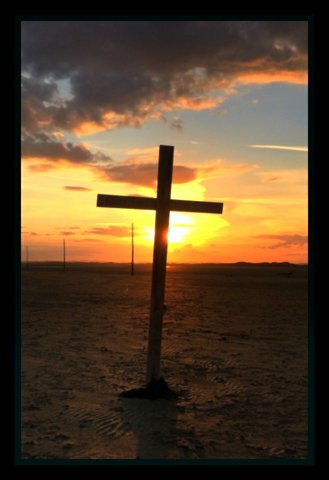 Over the years we exchanged emails and the occasional telephone call, often our ‘off the beaten track’ interests being the catalyst, these sometimes led to other friendships developing, as Bob certainly brought people together. He certainly did that as part of the team on Inkerman Street MRJ’s layout, where with typical Bob charm, he blagged me into painting some of the figures that appeared on the layout. Bob was very perceptive as to what would work in a magazine and how to get the best out of it bringing his professional jouranlistic skills and PR talents to the fore. Getting a brief from Bob you knew pretty much where he wanted you to be going with the article, much the same with a ‘pitch’, if he liked it he could very quickly give an outline of what he wanted from it and how your idea might work on the page. Bob was a modeller too, very rarely you got tantalizing glimpses of his work, this is a narrow gauge locomotive kit built by Bob for his 7mm scale narrow gauge potato railway set up on my OO Wharfedale Road layout, and it’s not what he expected for his model. It was good fun sending him something like this for him to work out how I’d done it. The article written in NG&I 100 on his own Ynys Gwyntog layout, also showed Bobs appreciation of where the hobby has been in the past much as his original BRJ tree piece did too, but showcased Bobs own skills as a modeller and artist. One wonders where perhaps he would have taken his next chapter. I have no doubt he will be recognised as one of the major influences in the UK hobbies development, (not forgetting those whom worked with him), and rightly so. Bob Barlows’ , Potato railway loco, a Malcom Moore kit. Early last year I had the opportunity of sitting in the Haycock at Wansford with ‘his people’, (him), talking to my people, (me), over coffee, through some publishing projects and ideas, one of which was FRMR. At the time I said to him that again he was ‘on the money’ in the launch and target market for the magazine, as opposed to the foamers knocking the idea, and I felt he’d need to print more than he initially thought. By day two of Scaleforum 2014 he was needing that re-order! Some of Bobs other projects he had in mind were very interesting, and I hope in time that Greystar will be able to make some of them come to fruition. Other subjects frequently on the agenda were music, Bob was an accomplished singer and competed successfully internationally as I recall in a barber shop quartet, as well as our common problems of running expensive to fix cars, and running even more expensive daughters. Bob was one of the good guys, sometimes when a few years had gone by and we’d catch up, it was as if the missing years weren’t missing, it was like just catching up with someone you see every week. I’ll miss him as a reader of this blog. Our loss of Bob Barlow within the hobby, is of course nothing to the loss of his family, close friends and colleagues to whom I extend my sympathy at this difficult time.